Rock Islands Southern Lagoon covers 100,200-hectare and numbers 445 uninhabited limestone islands of volcanic origin. Many of them display unique mushroom-like shapes in turquoise lagoons surrounded by coral reefs. The aesthetic beauty of the site is heightened by a complex reef system featuring over 385 coral species and different types of habitat. They sustain a large diversity of plants, birds and marine life including dugong and at least 13 shark species. The site harbors the highest concentration of marine lakes anywhere, isolated bodies of seawater separated from the ocean by land barriers. They are among the islands’ distinctive features and sustain high endemism of populations which continue to yield new species discoveries. I visited the rock islands of Palau back in 2007. It was added to the UNESCO World Heritage list on July of 2012. 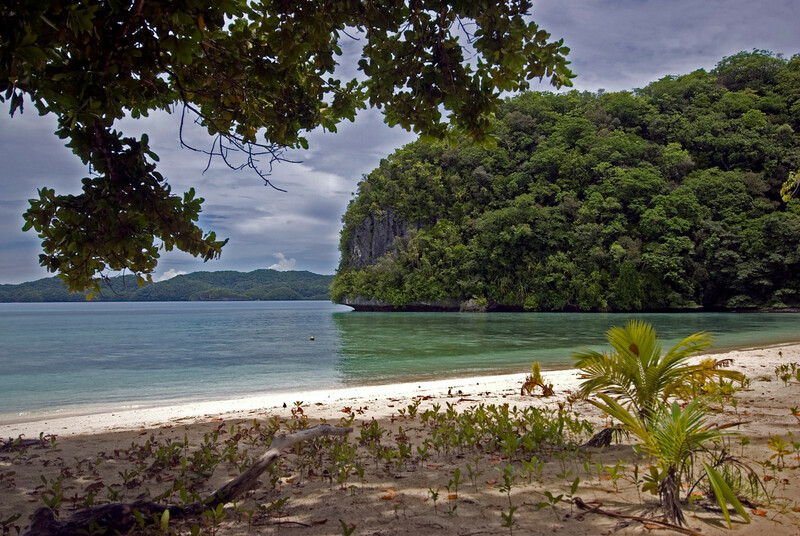 There are few places that were more deserving of World Heritage status than the rock islands of Palau. Despite being one fo the smallest countries in the world, the rock islands feature some of the most unique landscapes on the planet. It is home to my #1 ranked dive spot in the world and my #1 ranked travel experience (swimming with jellyfish). Not shabby for a country with under 20,000 people! My only real question is why this wasn’t listed as a World Heritage site earlier. The Rock Islands Southern Lagoon is located in Palau and is a mixed type UNESCO World Heritage Site. It was inscribed into the list in 2012. The UNESCO site is more commonly referred to as “The Rock Islands of Palau”. It is one of the top tourist attractions in Palau but the tourist visits to the area rose exponentially when it was named a UNESCO site as it garnered global attention. 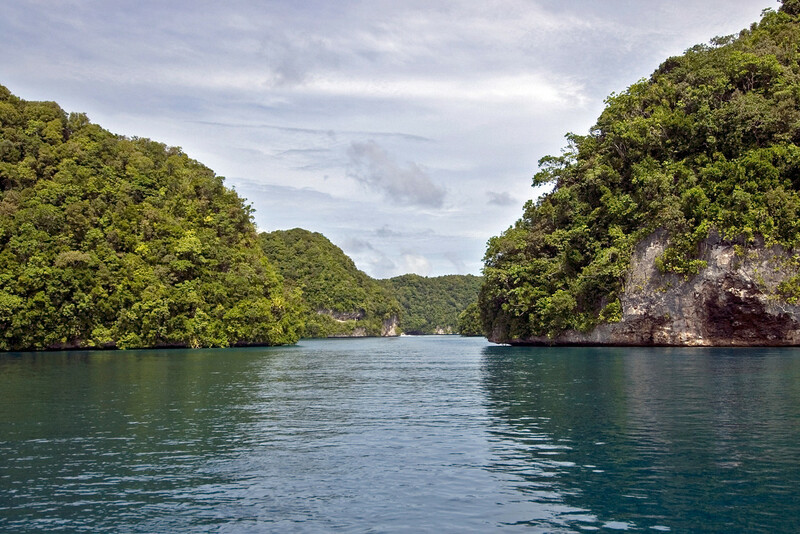 The Southern Lagoon of Palau’s Rock Islands is located in between the islands of Peleliu and Koror. However, the Rock Islands Southern Lagoon is now an incorporated part of the state of Koror. This group of islands consists of about 445 islands. The Rock Islands Southern Lagoon in Palau is a preserved marine landscape consisting of about more than 400 islands that are uninhabited. These islands are named as such for their iconic shape. The islands within this archipelago are formed out of volcanic origin. The abundant rainfall in these islands has resulted in the formation of diverse habitat in the area, along with the over 50 marine lakes. Even though the islands that make up the Rock Islands Southern Lagoon are currently uninhabited, there have been records of settlement in some of these islands. In fact, archaeologists and explorers were able to unearth rock art, remains of island settlement, and cave burial sites among these islands in Palau. For this reason, there is a cultural value to the islands, on top of its rich natural landscape and marine life. There are several notable islands among hundreds that make up the Rock Islands Southern Lagoon. The three largest islands are Ulong, Eil Malk, and Ngeruktabel. There are also several other notable islands that form this UNESCO site namely Bukrrairong, Ongael, Ngeteklou, Ngerukeuid, and Bablomekang, to name a few. In addition to the record of human settlement, there is also a rich level of biodiversity among the Rock Islands Southern Lagoon. The large reef system on the islands serves as home to various marine species such as 13 species of sharks, 7 giant clam species, endemic nautilus and more than 700 species of fish. Dugongs are also highly seen among these islands. There is also rich diversity among the coral species as there are nearly 400 recorded species of them in the area. 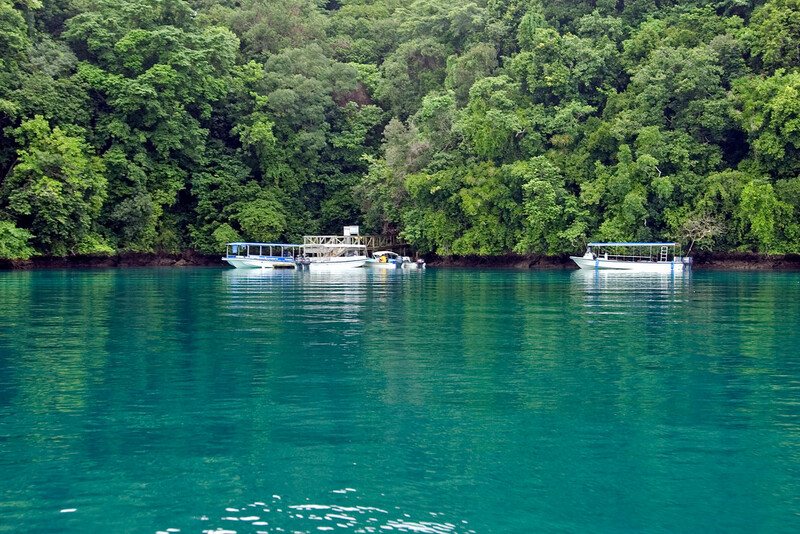 The tourism industry is one of the largest industries that support the development of the Rock Islands Southern Lagoon in Palau. It is a haven for water sports and activities such as scuba diving, snorkeling, and kayaking. There are several notable dive spots in the area including the German Channel, The Blue Corner, and Blue Holes. The Jellyfish Lake is its most popular attraction, though. This lake is home to two species of jellyfish: Moon and Golden Jellyfish. Since these two species are unable to sting, the lake is considered safe to swim in. The rise in tourism activity within Rock Islands Southern Lagoon has given rise to a potential threat to the integrity of the natural and cultural significance. 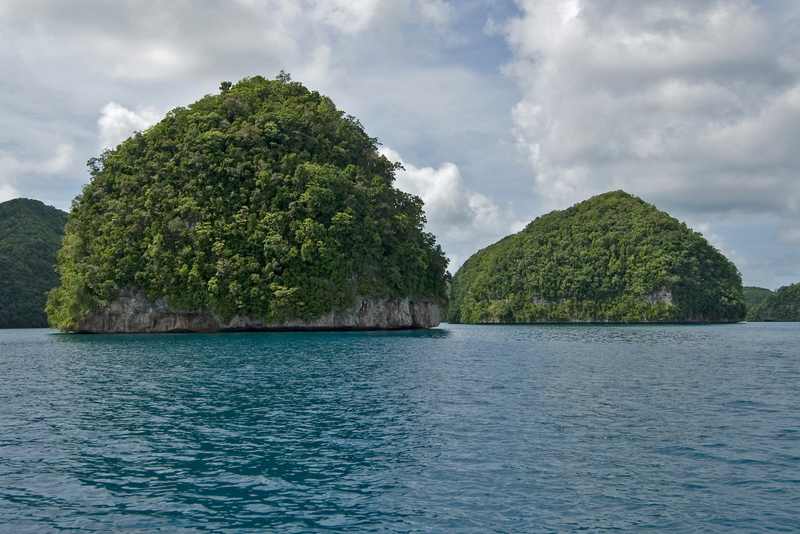 The management and supervision of the Rock Islands Southern Lagoon are under the responsibility of the Koror State of Palau. They are the ones to ensure that any tourist activity in the area does not threaten or undermine the environmental regulations put in place on the islands and the archaeological ruins. Since the area is uninhabited, the only major threat to the islands comes from the rising sea levels. What a beautiful place! Love the contrast of green and blue. You say you swam with jellyfish like that is a good thing! Whenever I’ve seen a jelly fish in the water, I’ve run out screaming! Don’t they sting? Not the ones in the Palau Jellyfish lakes. They have evolved away their stingers.